Known for his dark and gothic style, director Tim Burton is often seen as the antithesis of Disney’s sugary sweet color saturated designs. 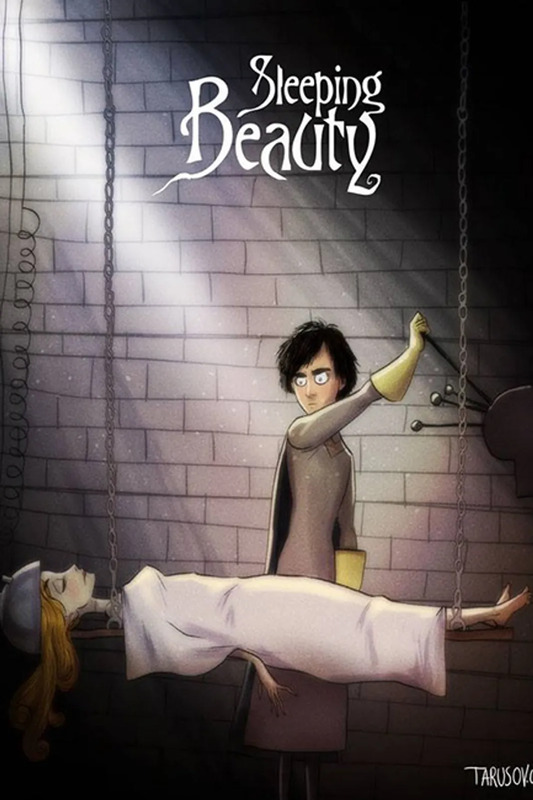 Though Burton has worked with Disney on projects like Alice in Wonderland, Frankenweenie, and James and the Giant Peach, we’ve often wondered what some of Disney ‘s classic films might have looked like if Burton put his own spin on them. 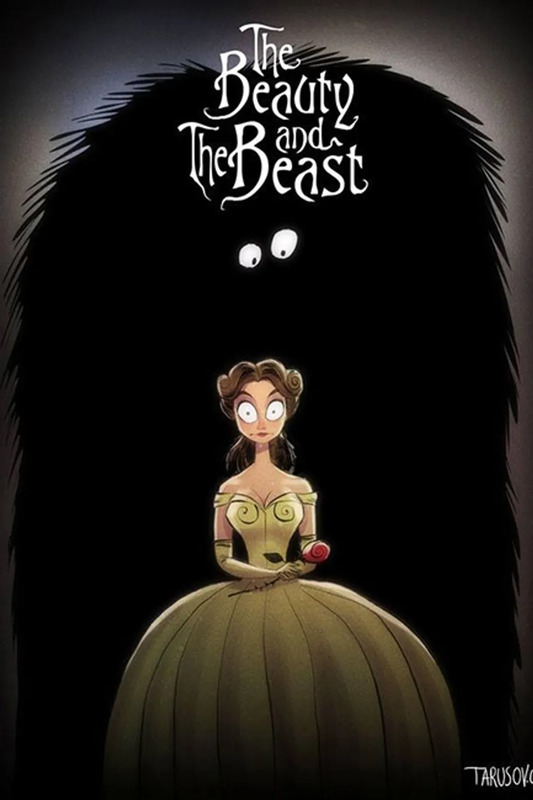 Luckily, we don’t have to wait anymore, Los Angeles-based artist Andrew Tarusov has re-imagined ten Disney classics with Tim Burton’s iconic flair. 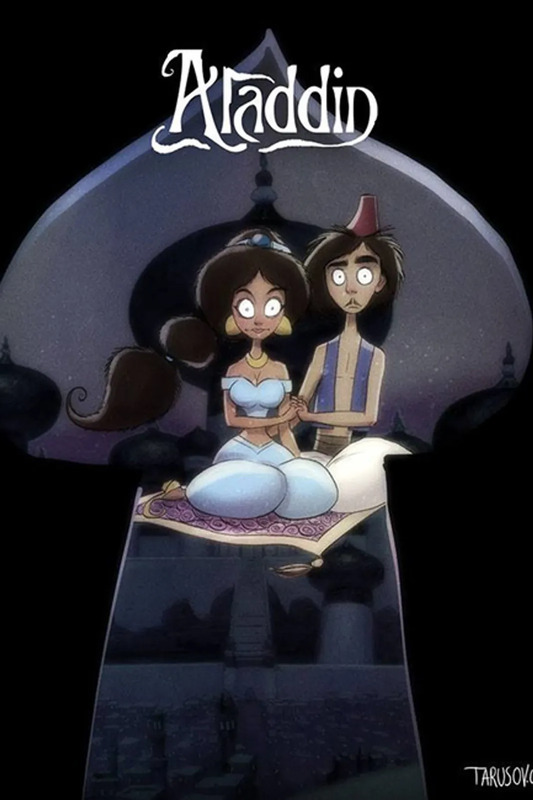 Looking at Aladdin's face, his point of view isn't looking all that fantastic. 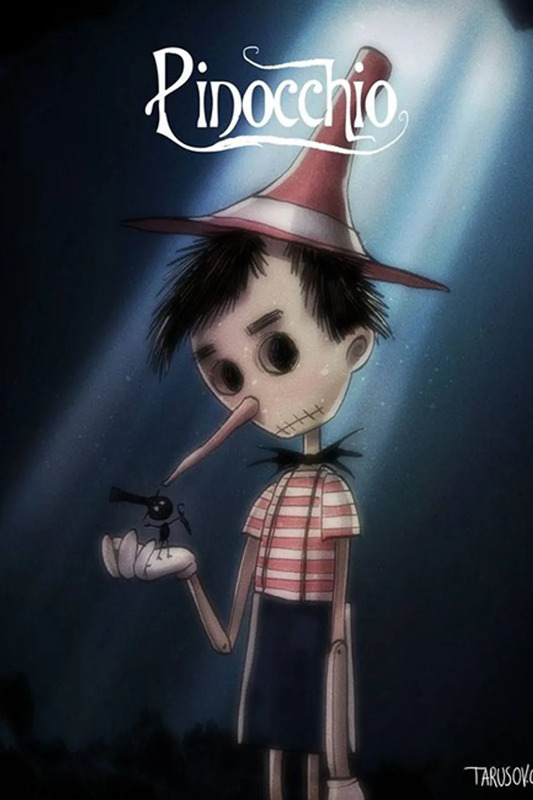 While Pinocchio looks desperate to become a real boy, our eyes are fixated on Jiminy Cricket. Now this is a beast worth being frighted of. We wonder if the 2017 live action Beauty and the Beast will draw inspiration from this exceptionally furry creature. 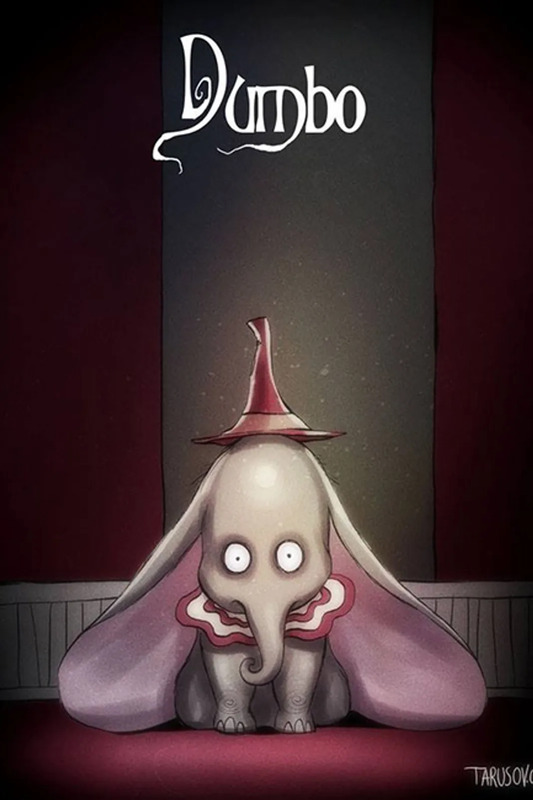 Dumbo looks like he's traded in his classic cap for the Sorting Hat. 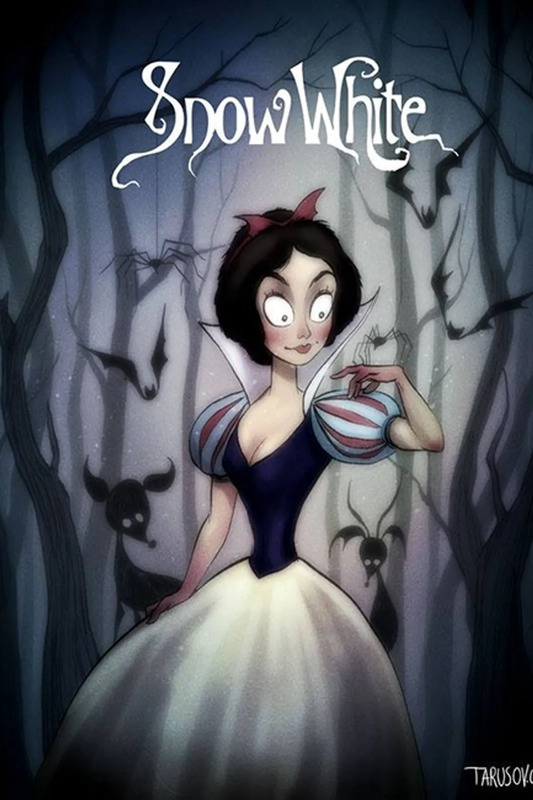 We definitely prefer this badass version of Snow White to the original, she looks like she can totally deal with any creepy crawler she encounters in the woods. 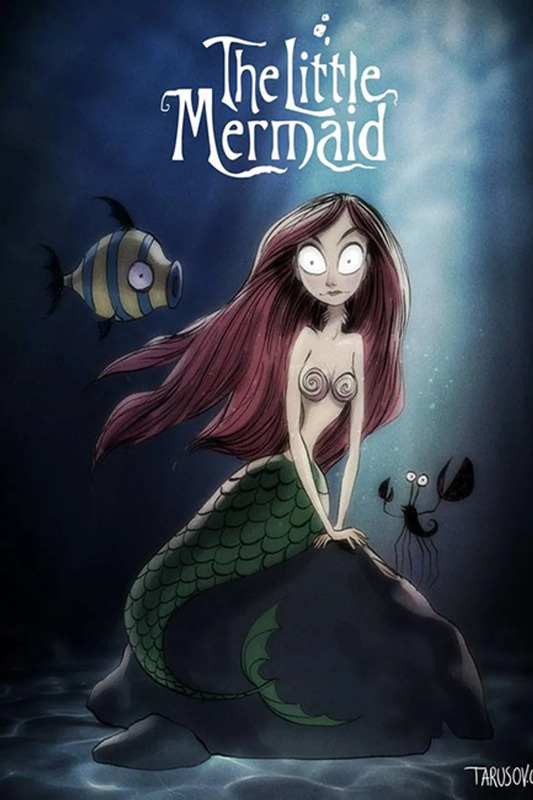 While Ariel's mermaid tail is looking as couture as ever, it's Flounder who seems to have gotten a complete makeover in Tarusov's poster of The Little Mermaid. 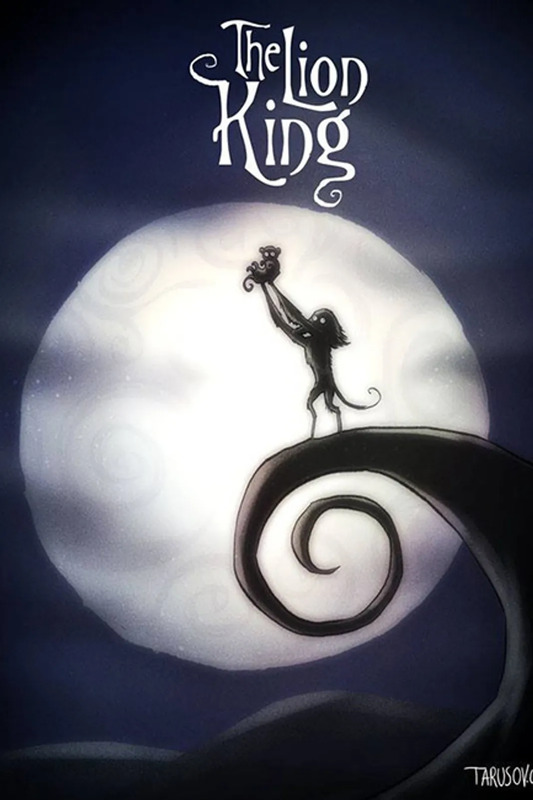 How iconic was it to replace Pride Rock from The Lion King with the coil hill from Tim Burton's The Nightmare Before Christmas? 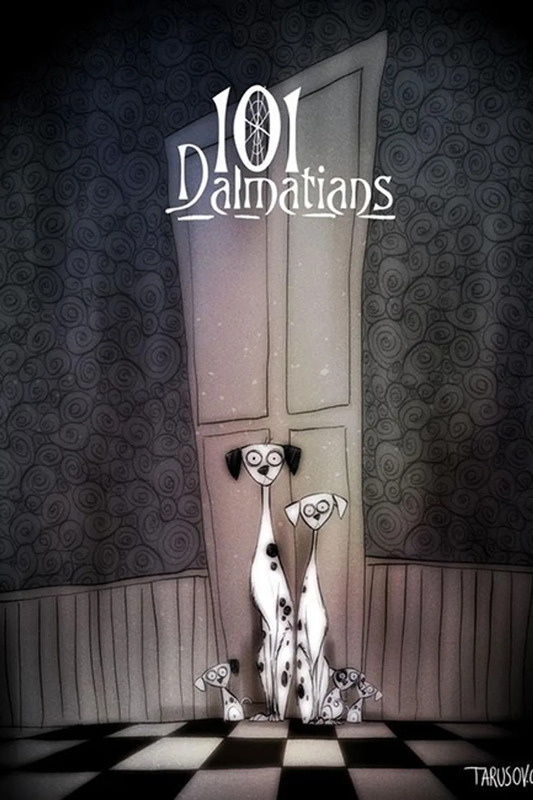 How cute are these little puppies in Tarusov's version of 101 Dalmatians? We just want to eat them up. 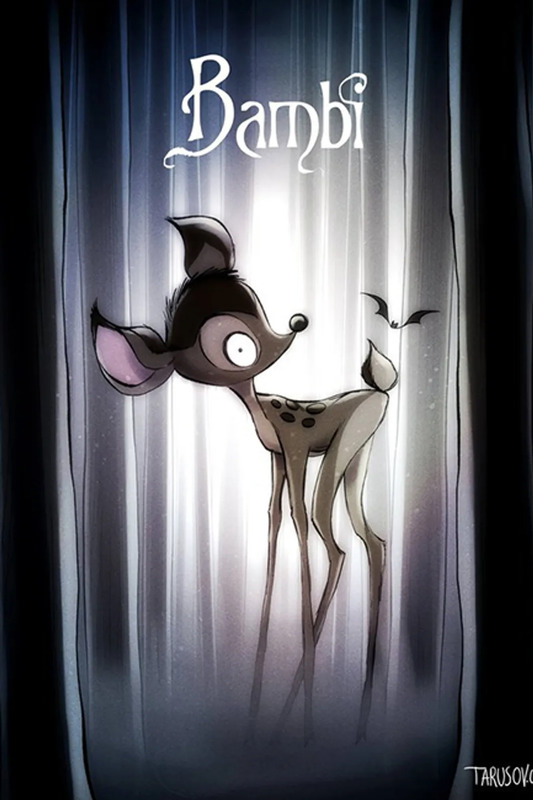 It looks like Bambi has traded in Thumper for a new bat friend! It looks like Prince Phillip is putting some Frankenstein moves on Sleeping Beauty, and we're just not sure how we feel about that? Check out Andrew Tarusov’s website here. How Well Do You Know Tim Burton's Films?